The 2016 Presidential Election Political Compass is out! It’s finally here. 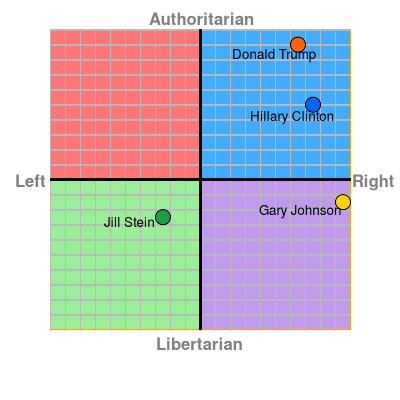 Check where your favorite candidate falls on the official political compass. And, please do click through and read the analysis below the chart. It’s quite enlightening.